“Shrimp on the barbie” may seem like just a playful phrase, but barbecues hold a special place in Australian life. Reminiscent of picnics that took place as part of the 1900s bush culture, modern-day barbecue has been a mainstay Down Under since the 1950s and is also popular in neighboring New Zealand. 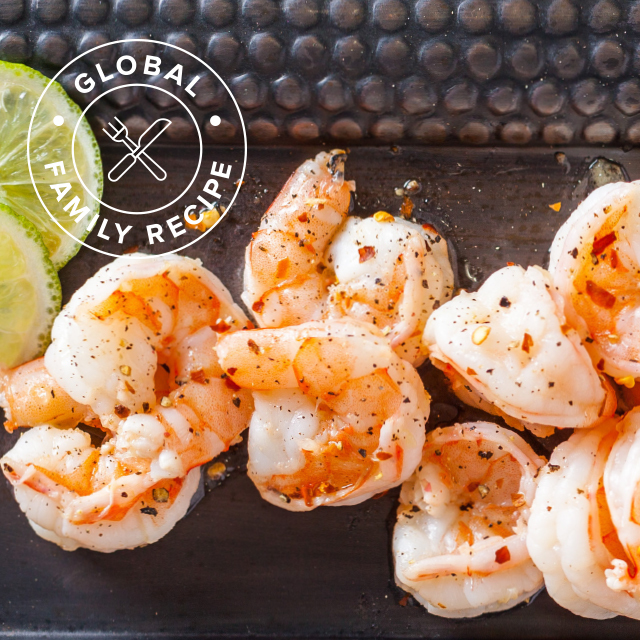 This grilled lime and chili shrimp with garlic aioli recipe makes use of fresh seafood, which isn’t hard to come by in the island nations of Australia and New Zealand. Do as the Aussies and Kiwis do and gather around the grill with friends and family. Don’t forget to pour some crisp Sauvignon Blanc for the perfect pairing. Place the egg yolks, garlic, mustard, lemon juice, and a pinch of salt in a food processor, and blitz to combine. With the motor running, slowly drizzle in the oil and blend until thick. Transfer aioli to a bowl and set aside. Melt butter in a small saucepan over low heat. Once melted, remove the pan from heat and stir in the garlic, lime juice, zest of 1 lime, chili, and parsley. Drizzle the butter mixture over the shrimp and sprinkle with zest of the second lime. Season with salt and pepper. Preheat grill to high heat, and once hot enough, place shrimp on grill. Cook for 3 to 5 minutes or until the flesh is just cooked through. Arrange on a serving platter alongside the bowl of garlic aioli. Did you try making this recipe at home? Show us how it turned out by posting a picture with #goaheadtours on Instagram!